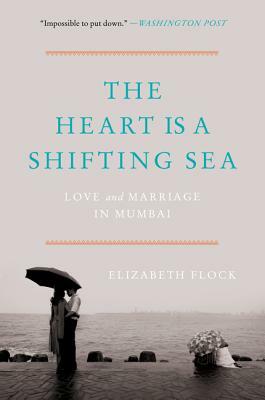 In the vein of Behind the Beautiful Forevers, an intimate, deeply reported and revelatory examination of love, marriage, and the state of modern India—as witnessed through the lives of three very different couples in today’s Mumbai. In twenty-first-century India, tradition is colliding with Western culture, a clash that touches the lives of everyday Indians from the wealthiest to the poorest. While ethnicity, class, and religion are influencing the nation’s development, so too are pop culture and technology—an uneasy fusion whose impact is most evident in the institution of marriage. The Heart Is a Shifting Sea introduces three couples whose relationships illuminate these sweeping cultural shifts in dramatic ways: Veer and Maya, a forward-thinking professional couple whose union is tested by Maya’s desire for independence; Shahzad and Sabeena, whose desperation for a child becomes entwined with the changing face of Islam; and Ashok and Parvati, whose arranged marriage, made possible by an online matchmaker, blossoms into true love. Though these three middle-class couples are at different stages in their lives and come from diverse religious backgrounds, their stories build on one another to present a layered, nuanced, and fascinating mosaic of the universal challenges, possibilities, and promise of matrimony in its present state.